The "Seventy" Disciples were the earliest followers of Jesus mentioned in the Gospel of Luke (Luke 10:1–24). The numbers of the elect discipleship were growing exponentially. Some of the more prominent patriarchs and ecclesiastic elders of the early Christian church would come from the ranks of these early missionaries and evangelists. These men would add their names to the Apostleship and become the first Apostolic Council in Jerusalem, led by their newly adopted bishop. The growing discipleship and the elect others who followed after them, would become instrumental not only in spreading the gospel, but also in establishing the foundations and framework for the Church of the New Covenant in Jesus Christ throughout the known world. These disciples and the elect others that followed, became the patriarchs and elders of the early church. They would establish the foundation of the ecclesiastic hierarchy that would mold the future of Christian Church. Jason - is numbered among the Seventy Disciples. He appears in the Book of Acts and is mentioned by the Apostle Paul as also being from Tarsus, as "my countrymen" (Romans 16:21). Jason's house is used as a refuge by Paul, Silas, and Timothy in Thessalonica, when the mobs rioted and chased after the disciples (Acts 17:5-9). Jason was arrested while some of the others were able to flee, the brethren immediately "sent Paul and Silas away by night to Berea" (Acts 17:10). Church tradition states that Jason was appointed Bishop of Tarsus by the Apostle Paul, where it is later mentioned that he and Sosipater then traveled to the island of Corfu and built a church in honor of the Archdeacon Stephen the protomartyr. Here they converted many pagans to the Christian faith and seeing this, were persecuted by the King of Corfu who threw them into prison. Church tradition continues that they converted seven prisoners to the faith and the king next had those seven put to death in boiling pitch. The king's daughter, Cercyra, having watched these new converts being tortured, then turned to the Christian faith as well and distributed all her jewels to the poor. The king became angry and likewise imprisoned her, yet she would not deny Christ. 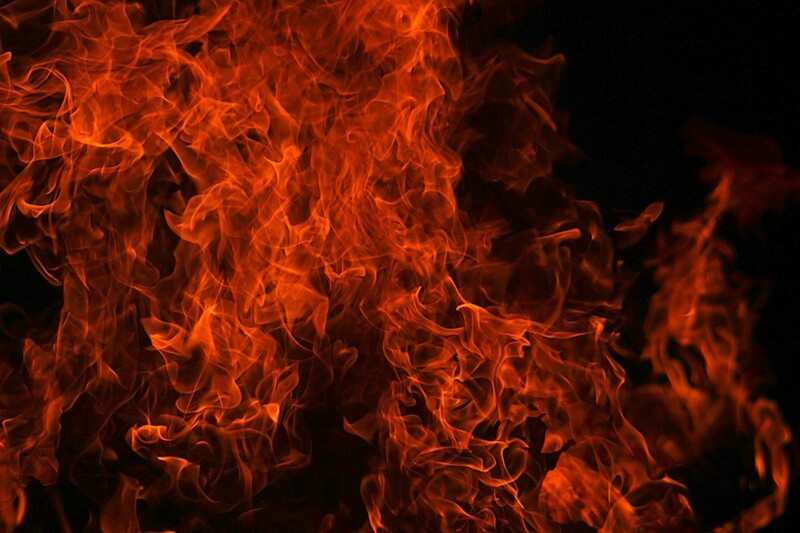 The legend holds that the king then had the entire prison burned, but she remained unharmed. Many people were converted upon seeing this miracle and the king was overthrown. The new king embraced the Christian faith and in baptism received the name Sebastian. From then on Sosipater and Jason are reported as freely preaching the Gospel and built up the Church of Corfu until a very old age, when they gave up their souls to God. John Mark - is mentioned several times in the Acts of the Apostles and is numbered among the Seventy Disciples. The first account is when the Apostle Peter escapes from King Herod's prison with the help of the angel. Peter comes to the house of John Mark's mother to seek refuge (Acts 12:12), where he tells them to "Go, tell these things to James and to the brethren" (Acts 12:17), before leaving Caesarea Maritima (41 A.D.). Later, after the arrival of King Herod Antipas I, where he was struck down by the angel of the Lord (44 A.D.), Barnabus and Saul (soon to become the Apostle Paul) having finished their missions in Jerusalem, came through on their way back to Syria (Acts 12:25). John Mark joins them as a travel companion headed to Antioch. Once there, Barnabus and Saul are anointed by the Holy Spirit and given their commission, whereas John Mark continues with them in their ministry working up through Syria and into Asia Minor. They next sail to the island of Cyprus (Acts 13:4-5) evangelizing there (45-47 A.D.). In the town of Paphos, is where the disciples had the notable encounter with the sorcerer "Bar-Jesus" (Acts 13:6-12) that resulted in the Roman Proconsul Sergius Paulus being converted, and "Saul" is first called by the name of "Paul" by the Romans. They traveled back to Asia Minor going through Pamphylia, where John Mark parts their company after having some difficulty there. John Mark returns to Jerusalem and continues his missionary work and is present for the Apostolic Council (50 A.D.). Leaving from there he to eventually arrive in Antioch and joining the missions there. When Paul and his companions had also returned to Antioch, Barnabus wanted to take John Mark with them on their future missionary travels. Paul did not think it wise to take him (because he had left them in Pamphylia and not continued with their work). As a result of the disagreement, Paul parts company with Barnabus and takes Silas with him instead to Syria and Cilicia (Acts 15:37-39). Barnabus and John Mark then leave, sailing back to Cyprus (Acts 15:39) where they spend some years evangelizing the towns there. 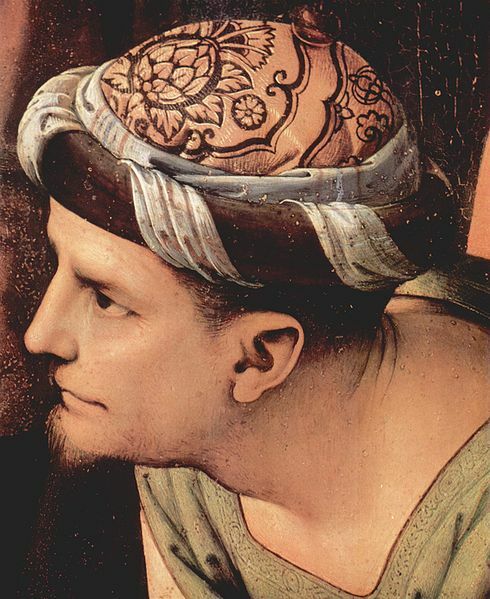 Some theologians argue that John ("whose surname was Mark") is the same person as Mark ("the Evangelist") and there is also mentioned a "Mark, the cousin of Barnabus" (Col 4:10). As a result there is some confusion between these names and persons. 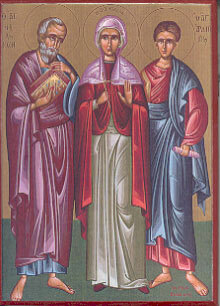 However, since church tradition indicates that Mark the Evangelist traveled with Peter throughout Asia Minor after Peter retired as Bishop of Antioch (accompanying him all the way to Rome), and that John Mark is also mentioned as being with Barnabus during his ministry in Cyprus (and later witnessed his martyrdom), it does not seem to support this as evident and should be concluded that these are three separate persons. 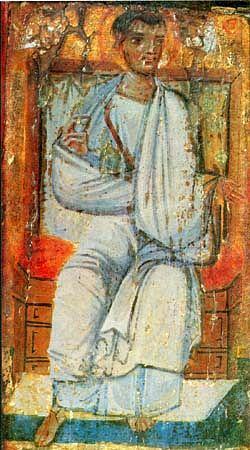 John Mark is also held by church tradition as later moving to and becoming the Bishop of Byblos, Phoenicia (Lebanon). Joseph of Arimathea - according to the Gospels, he was noted as a wealthy man from a city named "Arimathea" ("Harimathea" a city of Judea-unknown), a disciple of Christ that donated his own prepared tomb for the burial of Jesus after the Crucifixion: "...there came a rich man from Arimathea, named Joseph, who himself had also become a disciple of Jesus." (Matthew 27:57). He is listed in all four Gospels and was mentioned as a decent man and an elect official: "a good and just man" (Luke 23:50), "a prominent council member" (Mark 15:43). Joseph was aso believed to probably be a member of the Sanhedrin (assembly of 23 judges appointed in every city of Judea), and thus his discretion when approaching Pontius Pilate (Prefect of the Roman province of Judea, from A.D. 26–36) to claim the body of Jesus after His death: "but secretly, for fear of the Jews, asked Pilate that he might take away the body of Jesus; and Pilate gave him permission. So he came and took the body of Jesus" (John 19:38). Pilate, reassured by a centurion that the death had taken place, allowed Joseph's request. Joseph immediately purchased fine linen (Mark 15:46) and proceeded to Golgotha ("place of the skull"; in Latin "Calvariae" or "Calvary" Hill) to take the body of Jesus down from the cross. There, assisted by Nicodemus (Sanhedrin Pharisee who favored Jesus), Joseph took the body, wrapped it and applied "spices and fragrant oils", possibly brought by Nicodemus from the temple (John 19:39). Jesus's body then was conveyed to the man-made cave hewn from rock in the garden of Joseph's house nearby. This was done speedily, "for the Sabbath drew near" and internment was not permitted then according to Hebrew custom. The early Christians interpreted Joseph's role as fulfilling Isaiah's prediction that the grave of the "Suffering Servant" would be with a rich man (Isaiah 53:9), assuming that Isaiah meant the "Messiah". According to the apocryphal text. the "Gospel of Nicodemus", Joseph testified to the Jewish elders, and specifically to chief priests Caiaphas and Annas that Jesus had risen from the dead and ascended to heaven and he indicated that others were raised from the dead at the Resurrection of Christ (repeating Matthew 27:52–53). Many church legends also surround Joseph of Arimathea; one being that Joseph was a tin merchant where the young Jesus was working for him and accompanied him to England to obtain the metal. William of Malmesbury mentions Joseph's going to Britain in one passage of his Chronicle of the English Kings, written in the 1120s. He says Philip the Apostle sent twelve disciples to Britain, one of whom was a dear friend, Joseph of Arimathea. William does not mention Joseph by name again, but he does mention the twelve evangelists generally. He claims that Glastonbury Abbey was founded by them; Glastonbury later being associated with Joseph in other literature. Other legends state that Joseph of Arimathea was the caretaker of the "Holy Grail" and thus brought it to Britain with him. No other accounts are mentioned about him in scripture and nothing is recorded pertaining to his death by church fathers. Joseph (Barsabas) Justus - In the Christian New Testament, Joseph (Barsabbas) is mentioned momentarily among the 120 or so disciples gathered together after the Ascension of Jesus. Since the passage identifies the candidates; "Therefore, of these men who have accompanied us all the time that the Lord Jesus went in and out among us, beginning from the baptism of John to that day when He was taken up from us, one of these must become a witness with us of His resurrection." (Acts 1:21-22), it is considered that Joseph was an early member of the discipleship and thus one of the original "Seventy" (Luke 10:1-24). To replace Judas Iscariot and bring the Apostles again to the count of twelve, the casting of lots was performed to allow for the divine selection to be determined (Acts 1:23-25). Two candidates were chosen (Joseph and Matthias), whereas Matthias was selected however as a result of the lot and the final decision of the council (Acts 1:26). In Christian tradition, Joseph Justus went on to become Bishop of Eleutheropolis, where he later died as a martyr. According to the historian Josephus, the location provides a date for this legend, since the site of Eleutheropolis was a mere village in the 1st century, whose inhabitants were either slain or enslaved with others by Vespasian in 68 A.D.
Judas (Barsabbas) - is listed in scripture as an emissary from the Church of Jerusalem to the Church at Antioch (Acts 15:22) sent along with Paul and Barnabas to deliver news of the decision of the Council of Jerusalem and proclaim the Apostolic Decree pertaining to the Gentiles. Justus - (Titius Justus) - in Corinth, Greece, it is the house of the Gentile Justus in which the Apostle Paul enters after having repeated unsuccessful attempts at preaching the gospel at the jewish synagogue next door to him; "one who worshiped God, whose house was next door to the synagogue" (Acts 18:8), by which Crispus, the ruler of the synagogue, was finally converted. Linus - is one of the disciples mentioned in Paul's letters to Timothy (2 Timothy 4:21). He was an Italian from Tuscany. According to several early sources in church tradition, the Apostle Peter ordained three bishops, Linus, Cletus, and Clement, for the priestly service of the community, devoting himself instead to prayer and preaching. "The first after Peter to be in charge of the Roman Church" (Saint Jerome-ca. 380). 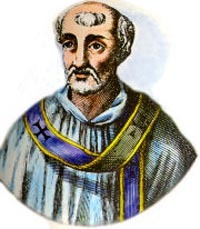 After Peter's matyrdom (around 67 A.D. under Nero), tradition states that Linus succeeds him as Archbishop of the entire diocese of Rome, although Latin tradition holds Pope Clement I as the first official administrative head and therefore instituting the Papal legacy. Linus died a martyr in 79 A.D. and was buried on the Vatican Hill next to Peter. Lucius of Cyrene - according to the Book of Acts, Lucius was one of the founders of the Church of Antioch, then part of Roman Syria. He is mentioned by name as one of the Christians there, after the death of King Herod Antipas I, as being; "in the church that was at Antioch there were certain prophets and teachers." (Acts 13:1) He is held by church tradition as being the first Bishop of Cyrene. Manaen - According to the Romano-Jewish historian Josephus: In 39 A.D. Heord Antipas I, went into Rome to gain the favor of Emperor Caligula, but instead received an order of perpetual exile, committing him to Judea. Around this time is when the Church of Antioch was founded by Jewish Christians, who "had been dispersed by the persecution that arose on the occasion of Stephen" and had taught the Gospel also to the Greeks of Antioch (Acts 11:19-24). Manaen is most likely one of the early founders of the church there. Little else is mentioned about his life other than he, "had been brought up with Herod the tetrarch" (Acts 13:3). Since Luke the Evangelist was originally a native of Antioch, it is not unlikely that Manahen was one of: "those who from the beginning were eyewitnesses and ministers of the word delivered them to us." (Luke 1:2), and who probably provided Luke with accurate details in regard to Antipas and other members of the Herodian family (Luke 3:1,19,20; 8:3; 9:7-9; 13:31,32; 23:8-12; Acts 12). Manaen may have become a disciple of Jesus around the same time as, "Joanna, the wife of Chusa, Herod's steward" (Luke 8:3). Mark (the cousin of Barnabas) - was a figure in early Christianity mentioned by Paul the Apostle (Philemon 24) and was numbered among the Seventy Disciples. This Mark is one of three mentioned in scripture that are frequently confused (along with "Mark the Evangelist" and "John, who is also named Mark") and he was a cousin to the Apostle Barnabas (Colossians 4:10). No other information is given for him but church tradition holds that he was later appointed Bishop of Apollonia in the Roman Province of Illyria (modern Albania). Narcissus - is numbered among the Roman disciples, along with Urban of Macedonia, Stachys, Ampliatus, Apelles of Heraklion and Aristobulus of Britannia (Romans 16:11), who are recorded by tradition as assisting the Apostle Andrew. The Apostle Philip later ordained Narcissus as Bishop of Athens. Nicetas - The Apostolic Constitutions identify Nicetas, along with Aquila, as one of the first bishops of Asia Minor in Chalcedon (Bithynia). There is not much other historical data about this person. Nicodemus - was a Pharisee and a member of the Sanhedrin, who, according to the Gospel of John, showed favour to Jesus. He appears three times in scripture: the first is when he visits Jesus one night to listen to his teachings (John 3:1-21); the second is when he states the law concerning the arrest of Jesus (John 7:45-51); and the last follows the Crucifixion, when Nicodemus assists Joseph of Arimathea in preparing the corpse of Jesus for burial (John 19:39-42) and possibly supplied the oils and fragrances they used. 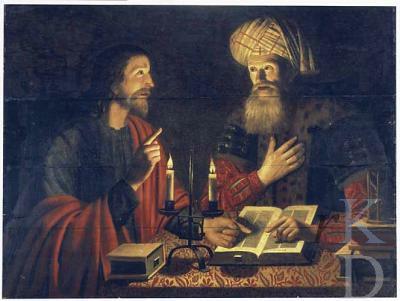 The discussion Nicodemus has with Jesus is the source of several common expressions of contemporary Christianity. For example, the descriptive phrase "born again" used to describe the experience of believing in Jesus as Saviour, and (John 3:16), a commonly quoted verse used to describe God's plan of salvation, all originate from the enlightening talk that they have together. Although there is no clear source of information about Nicodemus outside the Gospel of John, the Jewish Encyclopedia and many Biblical historians have theorized that he is identical to Nicodemus ben Gurion, mentioned in the Talmud as a wealthy and popular holy man reputed to have had miraculous powers. An apocryphal work under his name, titled: "The Gospel of Nicodemus", was produced at some point in the medieval era, and is mostly a reworking of the earlier work "The Acts of Pilate", which recounts the distressing and grievous conditions of Hell. Christian tradition asserts that Nicodemus was martyred sometime in the first century. Nicodemus is actually venerated as a Saint by the Roman Catholic and Eastern Orthodox churches, while it is also held that his relics were found, along with those of the Archdeacon Stephen the Protomartyr and Gamaliel (another member of the Sanhedrin who, according to a disputed tradition, likewise converted to Christianity). Patrobas - (Parrobus of Pottole) is referred to in scripture when the Apostle Paul greets him in the Epistle to the Romans (16:14). Dorotheus, the Bishop of Tyre (3rd-century) lists him as the first Bishop of Pottole (Puteoli) and of Neapolis (Naples). Philemon - and his wife Apphia lived in the city of Colossae in Phrygia. Upon receiving baptism from the Apostle Paul they devoted themselves to the service of the Lord, caring for the sick and downcast, and converting their home into an house of prayer, where all those who believed in Christ could gather together and attended services; "to Philemon our dearly beloved, and fellow laborer, and to our beloved Apphia, and to Archippus our fellow soldier, and to the church in thy house" (Phil 1:1-3). Paul continued to be his mentor, and addressed to him the Epistle by his same name, which reflects great adoration and in which Paul sends his blessings. Philemon was made bishop of the city of Gaza and he preached the gospel throughout the province of Phrygia in Asia Minor along with Archippus. Philologus - (also Philologos) is numbered among the Roman disciples (Romans 16:15) who is recorded as assisting the Apostle Andrew. Andrew is noted in tradition as later consecrating Philologos as Bishop of Sinope, a city in the region of the Black Sea. Phlegon - is also numbered among the Roman disciples (Romans 16:14). He is recorded by church tradition as later becoming the Bishop of Marathon in Thrace. Publius - After his shipwreck on the island of Malta, the Apostle Paul encountered Publius who had an estate there. 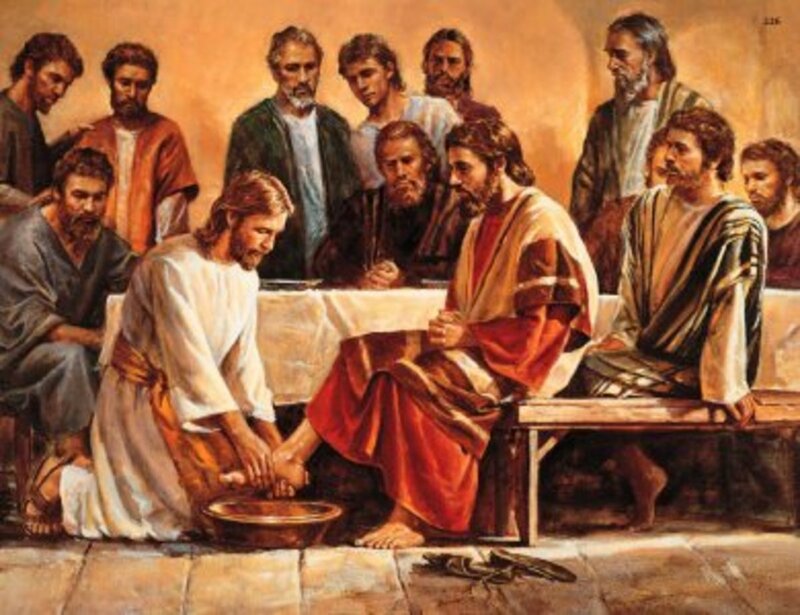 According to scripture, Paul cured Publius' dysentery-afflicted father when he, "prayed, and he laid his hands on him and healed him" (Acts 28:7-10) and thus the household of Publius was converted the Christianity. Afterward, "when this was done, the rest of those on the island who had diseases also came and were healed". As a result, Paul and the others were provided with whatever they needed to sail from Malta to Rome. The conversion of Publius led Malta to becoming the first completely Christian nation in the western world. Pudens - is mentioned as a disciple of the Roman Church (2 Timothy 4:21). According to tradition, he lodged the Apostle Peter when he first came to Rome and was baptised by him. Pudens is recorded as being martyred under Nero at the same time as Peter. Rufus - is mentioned among the Roman disciples (Romans 16:13). He was the son to Simon of Cyrene and is recorded by tradition as becoming the Bishop of Thebes in Greece. Simeon - Simeon of Jerusalem (Symeon) is identified as a Jewish Christian leader, one of the prophets and teachers in Antioch referred to as: "Simeon, who was called Niger" in (Acts 13:1). Simeon is also sometimes identified with Simon, the "brother of the Lord", who is briefly mentioned in scripture (Matthew 13:55, Mark 6:3) and thus consider him as in kinship along with James, Joseph (Joses) and Judas. According to Eusebius (an early Bishop of Caesarea), James was killed at the instigation of the high priest, Ananus, around the year 63. He relates that Simeon was then elected by the community to succeed James the Just as the second Bishop of Jerusalem (62-107 A.D.). According to most Christian traditions, after the martyrdom of James and the conquest of Jerusalem which immediately followed, it is said that those of the apostles and disciples that were still left, came together with the family members of the Lord (according to the flesh) and took counsel as to who would be worthy to succeed James. It is reported that with one consent they pronounced Symeon the son of Clopas, of whom the Gospel also makes mention; to be worthy of the ecclesiastic seat for that parish. He was a "cousin", as they say, of the Saviour Christ. Hegesippus (early Christian historian) lists that Clopas was a brother of Joseph and argues that Simeon (since Aramaic had no term for "cousin") was possibly more related as a "second cousin". Hegesippus further records that Simeon had directed most of the Jerusalem Christians in fleeing to Pella (capital of Macedonia) before the outbreak of the Jewish War in 66 A.D. and the destruction of Herod's Temple shortly thereafter. About the year 107-117 A.D. he is listed as being crucified under Emperor Trajan by the proconsul Atticus at Jerusalem or the vicinity thereof. Sosipater (Sopater) - was an early gentile disciple from Berea (also Beroea or Veria, Greece). 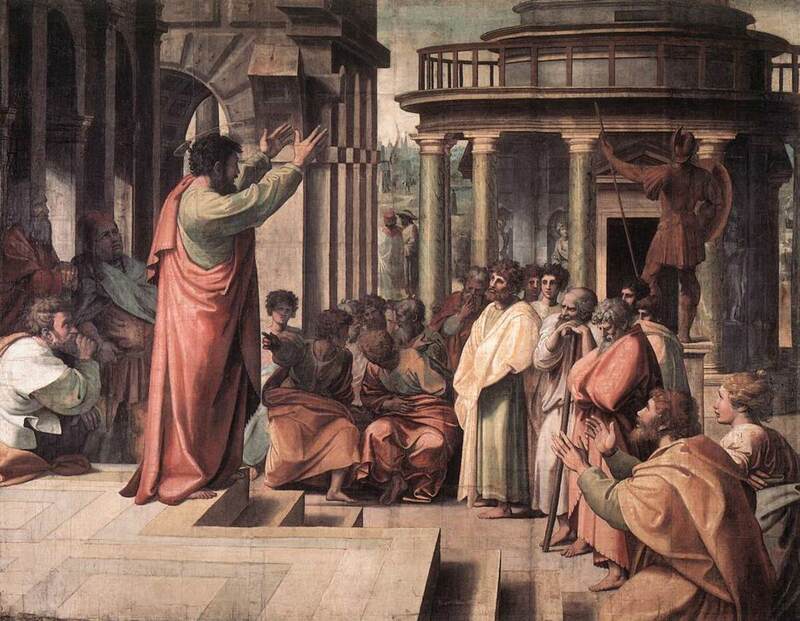 He is mentioned as being a "countrymen" (Romans 16:21) to the Apostle Paul along with Lucius and Jason, where they met Paul and witnessed his testimony of the gospel (Acts 17:10–13). He is listed in church tradition as being an early Bishop of Iconium (prior to Tertius). Sopater later accompanied the disciple Jason to the island of Corfu (Acts 20:4) where they built a church in honor of the Archdeacon Stephen "the Protomartyr" and converted many pagans to the Christian faith. It is held by church historians, that the king of Corfu threw them into prison where they converted seven other prisoners to the Christian faith: Saturninus, Jakischolus, Faustianus, Januarius, Marsalius, Euphrasius and Mammius. Next, the king had those seven put to death for their faith in boiling pitch. The king's daughter, the virgin Cercyra, is reported as having watched these men being tortured and thus turned to the Christian faith herself, then distributing all her jewels to the poor. The king became angry and put her in prison, yet she would not deny Christ. He then had the prison burned but Cercyra remained unharmed. Many people who witnessed this miracle were immediately converted to the faith, but the king had her bound to a tree and slain with arrows. As a result, many believers fled to a nearby island to get away from the enraged king, but as he chased them his boat sank because of his sins. The new ruler who repalced him, faithfully embraced the believers and in baptism received the name Sebastian. From that point forward, Sosipater and Jason were allowed to freely preach the Gospel and were able to built up the Church in Corfu until a very old age, when the two gave up their souls to God. Sosthenes - was the chief ruler of the synagogue at Corinth, Greece. According to the New Testament, he was seized and beaten by a mob instigated by the local Jews (Acts 18:12-17) when the Apostle Paul was brought before Gallio, the Roman governor, who refused to proceed against him and "to be a judge of such matters" involving their laws (similar to Pilate with Christ). The entire motives of this incident against Sosthenes are not fully recorded, although the Greek Corinthians also joined in the assault (Acts 18:17) while the matter was further ignored by Gallio. Some also identify him with the one whom Paul calls "Sosthenes our brother", who was a later convert to the faith and became the co-author of the First Epistle to the Corinthians (1 Corinthians 1:1-2) acting as Paul's scribe. Stachys - was mentioned as a "beloved" by the Apostle Paul (closely connected to or possibly realted) and seems to also be associated with the Apostle Andrew. Eusebius (early Bishop of Caesarea) quotes Origen (early African scholar and theologian) as saying that he assisted Andrew while preaching extensively in Asia Minor and in Scythia, along the Black Sea as far as the Volga River and Kiev. He is then noted as co-founding the See of Byzantium in 38 A.D., where Andrew installed Stachys as the first bishop there (the only bishop seat in this region aside from that established at Heraclea). He remained as the Bishop of Byzantium, from 38-54 A.D and would later see it develop into the Patriarchate of Constantinople, having the Apostle Andrew as its Patron Saint. Tertius - is a gentile disciple that worked closely with the Apostle Paul. He is credited as being a scribe who helped draft the Epistle to the Romans (Romans 16:22). Tertius is recorded by church fathers as becoming the Bishop of Iconium after Sosipater, who, having retired from the seat there moved on to Corfu. Tertius is later noted as having suffered martyrdom but no other details remain. Thaddeus - was one of the original "Seventy Disciples" of Christ, and is not to be confused with the Thaddaeus (Jude) of the Twelve Apostles. Although he is not mentioned directly in scripture, early church historians such as Eusebius, note him as being "Thaddeus of the Seventy" and is listed as being born a Jew in Edessa (northern Mesopotamia). According to tradition, it was he who instructed King Abgar in the Christian Faith and baptised him: "Thomas, one of the twelve apostles, under divine impulse sent Thaddeus, who was also numbered among the seventy disciples of Christ, to Edessa, as a preacher and evangelist of the teaching of Christ." (Historia Ecclesiastica, I, xiii) It is recorded that after Pentecost, Thaddeus of the Seventy preached the Gospel in Mesopotamia and built up the church there. 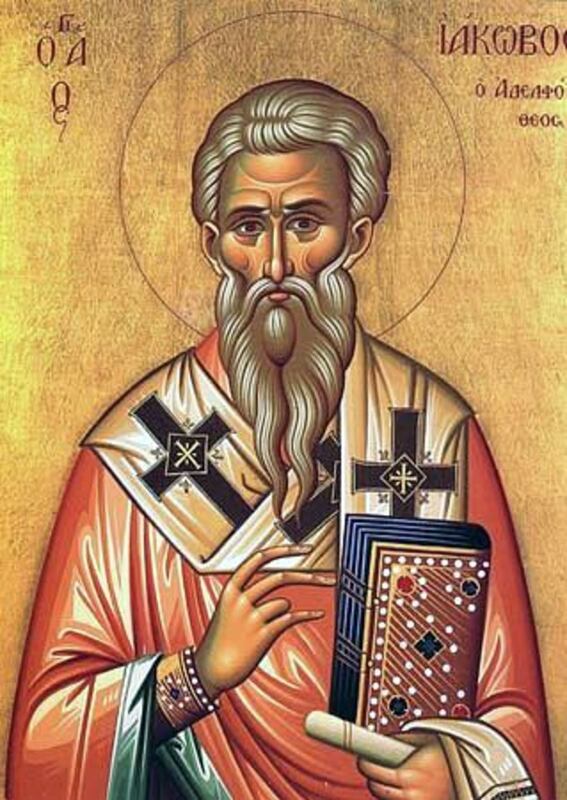 As noted in hagiography (the study of saints), he was also supported by the Apostle Thaddaeus (Jude, the "brother of the Lord") which lends to some confusion of the names. Thaddeus of the Seventy was martyred for his faith in the Artaz region in the year 50 A.D., according to an ancient Armenian tradition. Trophimus - his name meaning a "foster-child", was an Ephesian native (a "gentile") of the Roman province of Asia (Asia Minor), who accompanied the Apsotle Paul during part of his third missionary journey leaving from Corinth. He was with Paul in Jerusalem, where an incident was raised by the Jews because Paul had brought a "gentile" into Herod's temple (Acts 21:29), which then resulted in Paul’s imprisonment. In writing to Timothy, the Apostle Paul also mentioned him, as having to be "left in Miletus sick" (2 Tim. 4:20), which must refer to some event not described in further detail in the Book of Acts (Acts 20:4). Tychicus - was an early disciple from Ephesus along with Trophimus, and was a native of the Roman province of Asia (Acts 20:4). About his conversion nothing is known. He was a companion of the Aposlte Paul and joined him towards the end of his third missionary journey from Corinth, travelling through Macedonia and Asia Minor to Jerusalem and remaining with the Apostle to the final point of the journey. Paul mentions in his Second Epistle to Timothy (4:12) that he had sent Tychicus to Ephesus where he is noted there as being a "beloved brother and faithful minister in the Lord." (Ephesians 6:21) Since it is also understood that Tychicus shared the Apostle's first Roman captivity and was the bearer of the Epistle to the Colossians, that to the Ephesians and to Philemon, this may have been the purpose of his trip. Paul indicates that Tychicus would inform them about all of the details of his imprisonment (Colossians 4:7-14) and he asks them to likewise exchange this letter with that he had sent to the neighbouring Laodicean Church. Tychicus is also mentioned in Paul's Epistle to Titus (3:12) as one of two people who might be sent to help. Tradition gets a bit confused at this point realting to Tychicus, being listed as a Bishop of Colophon and successor to Sosthenes, while he is said to have been appointed Bishop of Chalcedon by the Apostle Andrew, and also is called Bishop of Neapolis in Cyprus. Some martyrologies show him as a deacon, while others places him as sufferiung death at Paphos in Cyprus. Urban - Although no other account is found for Urban in scripture, he is recorded by church tradition as being among the "Seventy Disciples". He is said to have assisted the Aposlte Andrew, along with Ampliatus, Stachys, Narcissus of Athens, Apelles of Heraklion and Aristobulus of Britannia on his missions. Andrew is later recorded as having ordained Urban as Bishop of Macedonia, where he finally suffered martyrdom serving the church there. Zenas - is listed only once in the New Testament but is listed by church tradition as being one of the original "Seventy Disciples" that were sent out by Jesus to spread his message. He was believed to have been a companion of the Apostle Paul and was in Corinth, Greece at the time of Apollos' ministry there. He is mentioned as being "the lawyer", who along with Apollos, are sent as bearers of Paul's letter to the Corinthians, which was then to be delivered to the Church of Crete (Titus 3:13). The original Disciples became the Apostleship of the first ecclesiastic council. As their ranks grew organizationally the numbers of the discipleship likewise increased. The ministry expanded to include the evangelism of Gentiles in foreign lands. Several of the early Christian followers, outside of Jesus hand-picked 12 followed him everywhere. Joseph of Arimathea claimed Jesus body from Pilate for burial.